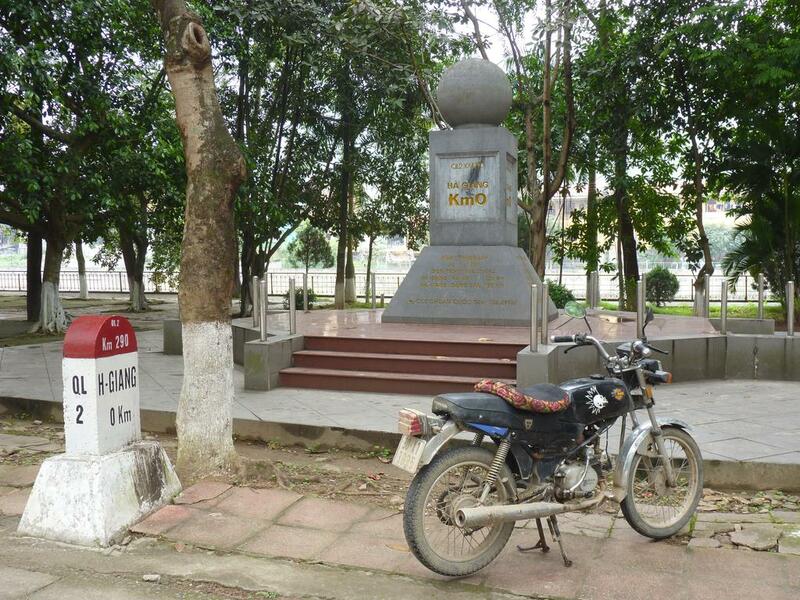 From begin of April to end of May 2014, I travelled from Saigon to Hanoi by motorcycle. The route went North along the coast and into the mountain region all the way up to Lao Cai and Mong Cai near the border to China. I am grateful for the country, and for the people who welcomed me. This summary reports on the locations and experiences along the way. Readers might feel encouraged to visit Vietnam, meet people, make use of the excellent infrastructure, and enjoy the food and tourist attractions. Prior to the trip, I had already spent 4 months in the southern region: in district 3 of Saigon, in Basi near Tra Vinh, Da Lat, and Nha Trang, where I had purchased the motorcycle from a tourist couple for 140 usd. My Vietnamese friends supported me throughout my stay, and I am eternally grateful for their hospitality, generosity, and advice. 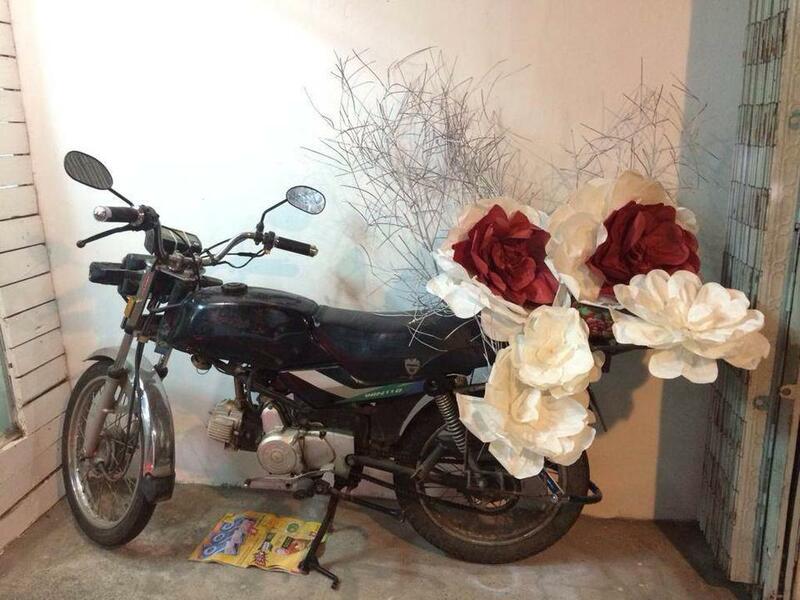 Before leaving Saigon, my friend recommended a mechanic to me, who could perform serious maintenance on the motorcycle. The cost of 430k vnd was well invested: the front light was restored, and shifting gears was easy again. The motorcycle did not need another maintenance for another 1400 km. Coming from Saigon on the way to Phan Thiet there was an elderly woman waving at the roadside. She accepted a ride on the backseat for the next 6 km. Phan Thiet is 180 km away from Saigon and thus a mandatory stop. 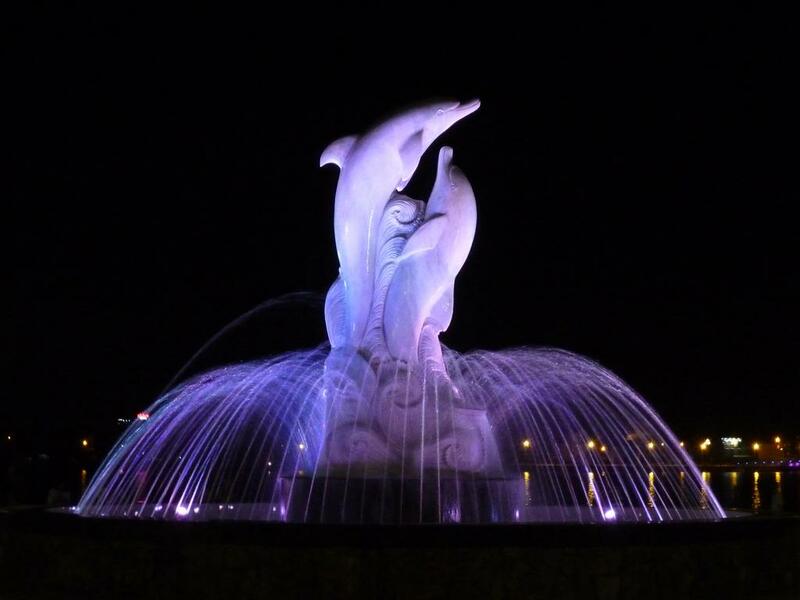 It was my second visit to the city of Phan Thiet. I really tried to adapt to the city, but ended up staying only one night in a room for 220k vnd. On the way to Phan Rang, I helped out another hitchhiker. This time it was a 40 years old Russian. He told me that he sleeps in a tent and only spends money on food. He is on his way back to Moscow having spent the winter in the South of Vietnam near the border to Cambodia. I invited him to coffee and lunch, and we exchanged some travelling stories. My impression of the city of Phan Rang is that there is a lot of good, yet unused infrastructure: Hotels, cafes, and restaurants waiting to cater to more visitors. Unfortunately, the city center is a bit far from the beach. I stayed one night for 200k vnd. I was familiar to Nha Trang from earlier visits and wanted to stay one full week to enjoy the good restaurants, and make use of the excellent infrastructure in the city. 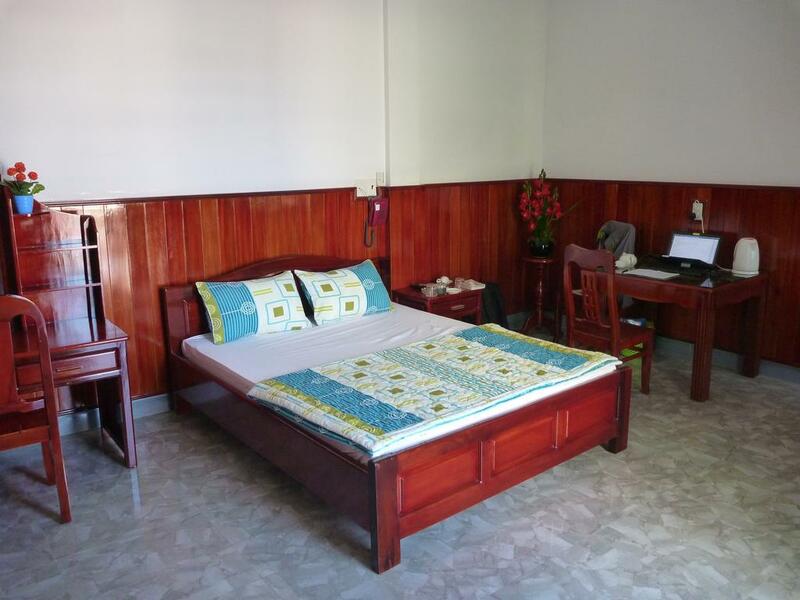 My favorite hotel is Song Bien which offers rooms starting from 150k vnd a night. Through the window of my room one can only hear children playing in the school yard during breaks but there is no noise from the road - ideal for creative work. In a tiny cafe nearby, I solved an interesting mathematical problem in surface modelling and computer graphics. Over the course of the next 3-4 weeks I obtained more results with the computer and wrote it up properly. Driving out of Nha Trang, the rear tire of the motorcycle was punctured. I learned that a motorcycle is totally useless with a flat tire. There is no option except to get off and push. There could have been worse places for this to happen - luckily a repair shop was just 50 meters away, to which I was even escorted by a local who saw the situation. Total cost 200k vnd since the tube needed replacement. I never had a flat tire thereafter. At a gas station on the way to Tuy Hoa, I met a tourist from Italy, who had just bought a motorcycle for himself and was in the process of getting to know the machine. 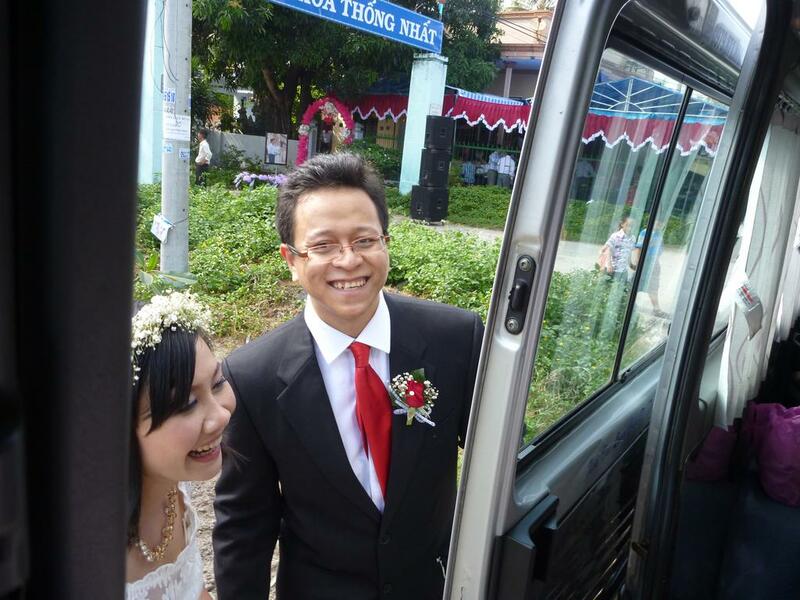 We drove to Tuy Hoa together. The first night I stayed in a hotel near the central market. The room had a big desk for 200k vnd. Due to the noise from the street, I relocated to another hotel in a suburb not far from the beautiful beach. The room had the most amazing interior design, and generous furniture for 250k vnd. Retrospectively, I regret not staying longer. What kept me moving was the fact that there was a public speaker that emitted news and music in the morning and evening. Also, I wasn't able to find a proper restaurant in the vicinity of the hotel. 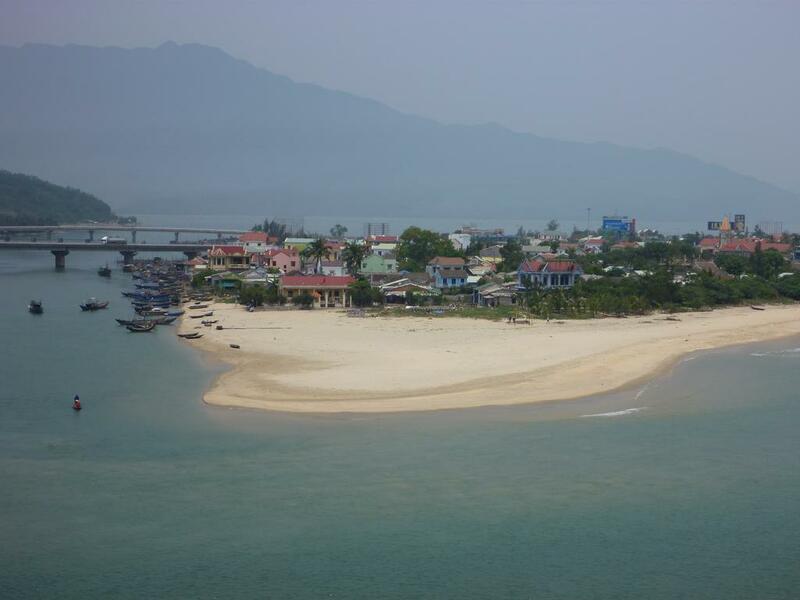 Quy Nhon seemed like a city where tourists are not a familiar sight. At least nobody I met spoke English. I drove downtown and picked a hotel in a quiet side street. I stayed 2 nights, 150k vnd per night. The hotel owner helped me move a small desk into the room so that I could work on the laptop. The cafes and restaurants were all in walking distance. In the evening the hotel manager guided me to a good local restaurant and recommended an excellent dish to me. All the while, I had trouble to sync my position in Google maps. So on the way out, I asked for the direction to Hanoi twice just to be sure. I found the hotels of Tam Quan only because there were 2 signs flashing along the highway and I decided to give it a try. One of the hotels was plain awesome. 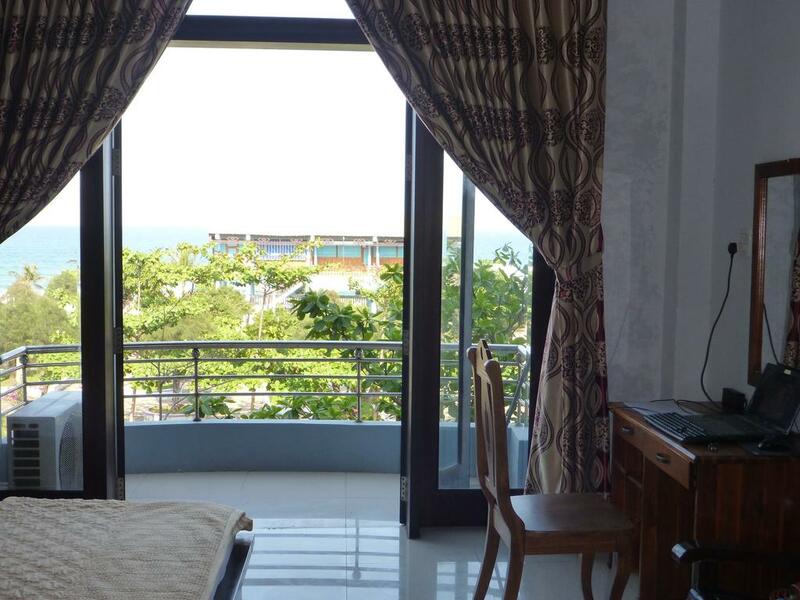 Room with beachview and spa for 280k vnd. In the afternoon, children played badminton in the hotel courtyard. In the morning, a large number of locals met in the adjacent cafe. So why not stay longer than one night? Well, the air conditioner on my balcony was rattling. I was unable to do anything about it, since it belonged to another room. My impression of Quang Ngai from planning with Google maps was that all the essentials are close together and in walking distance. The city has a big selection of restaurants and cafes. I stayed 3 nights for 200k vnd per night at a family run hotel near the train station. From there, I still remember walking down a side alley to a small restaurant with excellent rice porridge, and a quiet cafe with inquisitive locals. Hoi An turned out to be hard to find. Maybe I missed a turn sign. I probably drove an excess of 50 km before arriving, only to discover that luxury resorts along the beach side block the access to the sea. I tried a hotel in the city center. They asked for 800k vnd per night. Just for fun I went to see the room. Turned out the room wasn't even cleaned yet, and smelled really stale. Didn't stay, didn't visit anything, just continued up North. 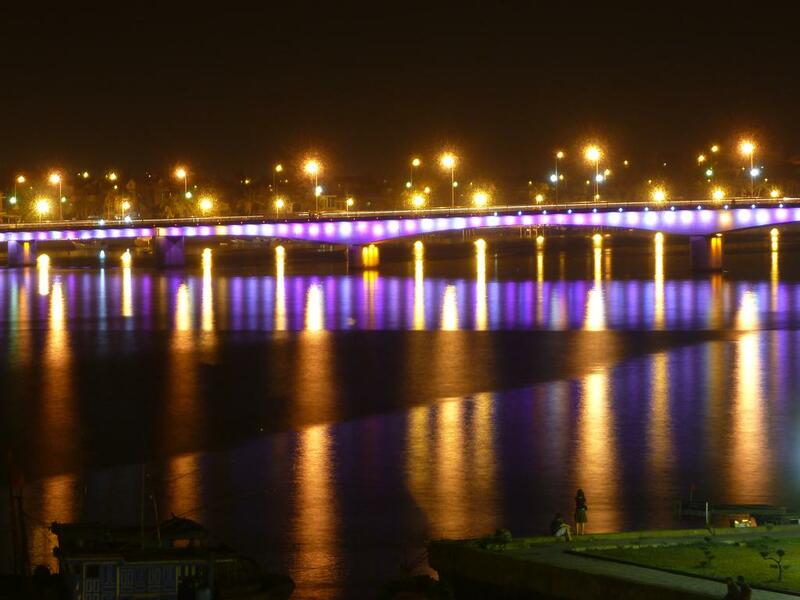 The city of Da Nang was recommended to me by several Vietnamese. After visiting, I would describe the city as divided into two parts: The South-East, and the North. The South-East city region consist of recently built hotels and restaurants, and caters for tourists and nightlife. 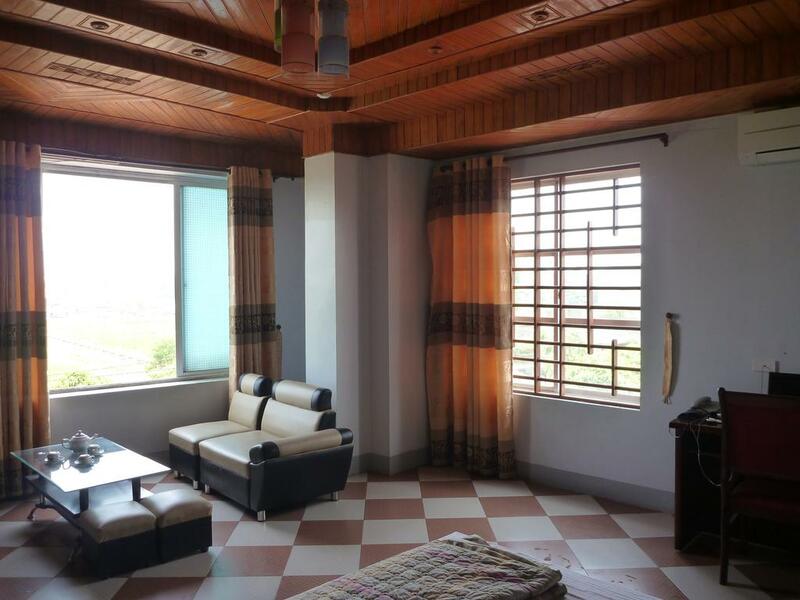 After the experience from Hoi An, I was glad to find a family owned hotel room for 250k vnd. For dinner, I had fried fish at a street corner. 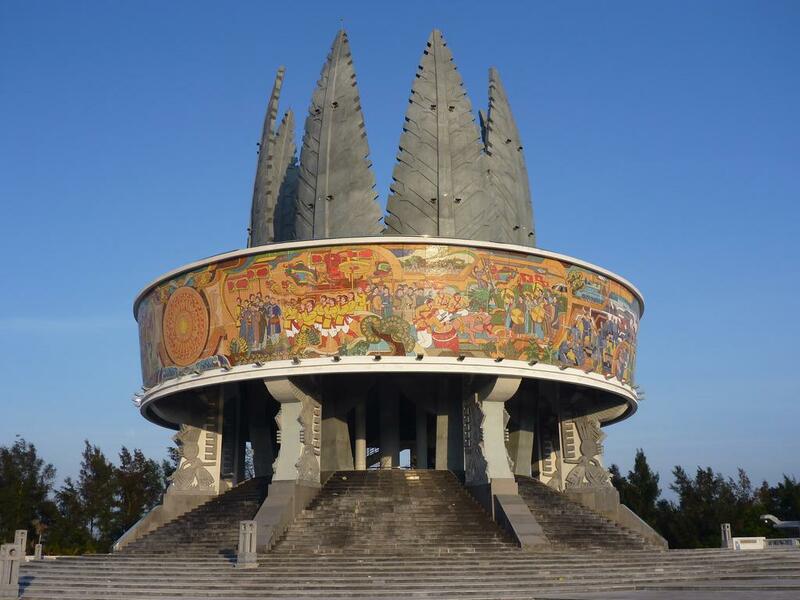 Because of the overall touristic ambience I decided to move on the next day, and try to locate the praised part of the city. 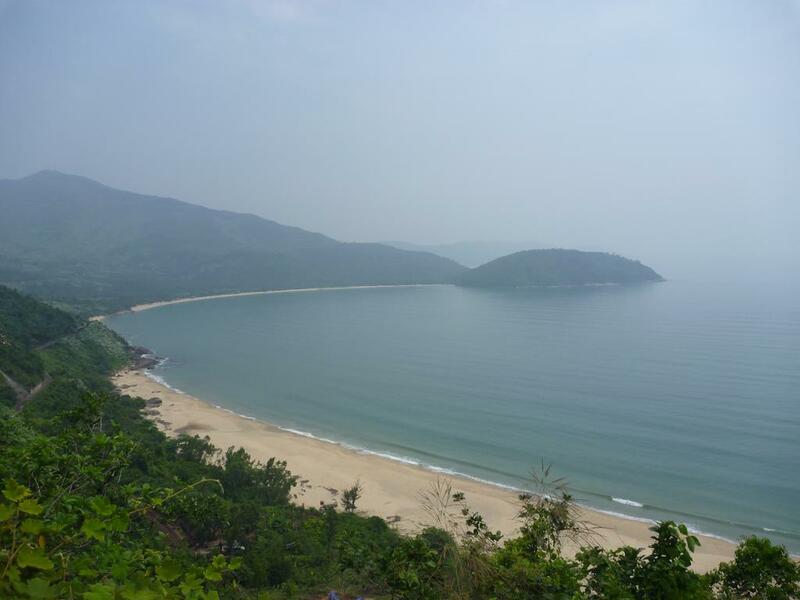 The northern part of Da Nang is different. Historic and modern architecture blend together, and locals go about their normal activities. I stayed two nights for 200k vnd each. In the evening, I explored the side streets and stopped at a restaurant that seemed popular with the locals. A yound man from the neighbor table helped me to order: delicious fish soup and fried rice. One memorable event happened in the four-story cafe not far from my hotel. I overheard a group of Vietnamese students practicing English pronunciation. I walked over and offered my help. But the students politely declined, and rather practiced for their exam on the next day by themselves. A few minutes later, three Vietname from a different group came to my table and we had a fun conversation. The mountains on the way to Lang Co are fun to climb and descend with a motorcycle. The views are spectacular. Lang Co probably has nice beaches, but countless busses loaded with tourists discouraged me from discovering more. Instead, I kept driving North, taking a route around a lake away from the city. Hue gave me a similar expression like Nha Trang. For the first night, my objective was to stay away from the touristic center. I picked a hotel room facing a church. Nothing wrong with that, except at some point in the afternoon they decided to play music from giant speakers in the church yard. On the next day, I relocated to a hotel in the touristic center, which is still outside of the city walls and stayed two nights for 260k each. The room was absolutely quiet, no noise from the street at all - a real treat! The hotel has laundry service and is on the left hand side towards the end of 66/Le Loi. I forgot the name, but curiously there is a map of Germany on the wall when going upstairs. 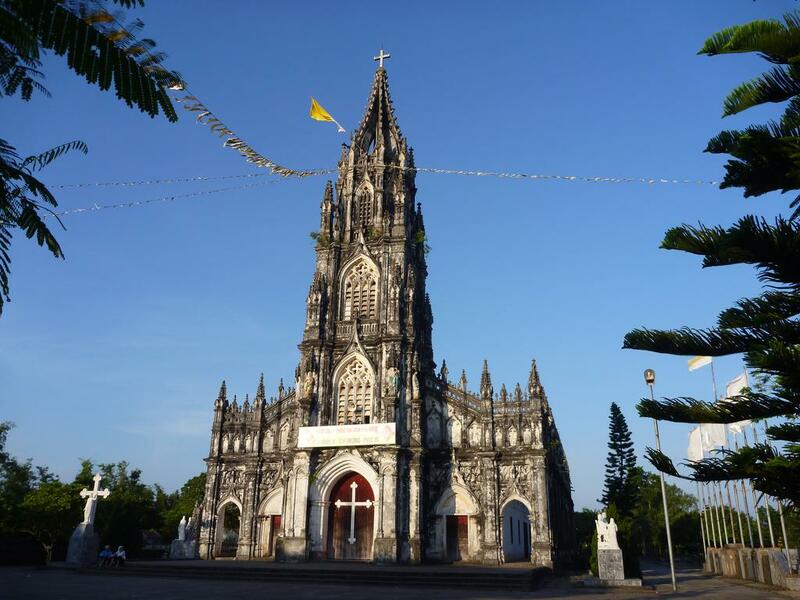 10 km South of the center of Quang Tri I turned right reaching a part of town with a former royal structure of square perimeter for visitors to enter. I stayed at a Nha Nghi for the first time, simply because I could not find a Khach San. The owner only asked for 100k vnd, and I increased to 120k vnd. I ended up going to the same restaurant several times: A lady was serving delicious noodle soup with duck, or goose meat. Later, I bought steamed corn from a vendor on a bicycle, also a real treat. On the next day, I had to move on, because the table in the room was not comfortable to use as a desk. Dong Hoi probably has more to offer than I discovered. My hotel room for 250k vnd overlooked the river. I found that the shampoo container had leaked inside my bag, and I spent an hour cleaning the items. The colorful illumination of the public architecture invited for a stoll in the evening. 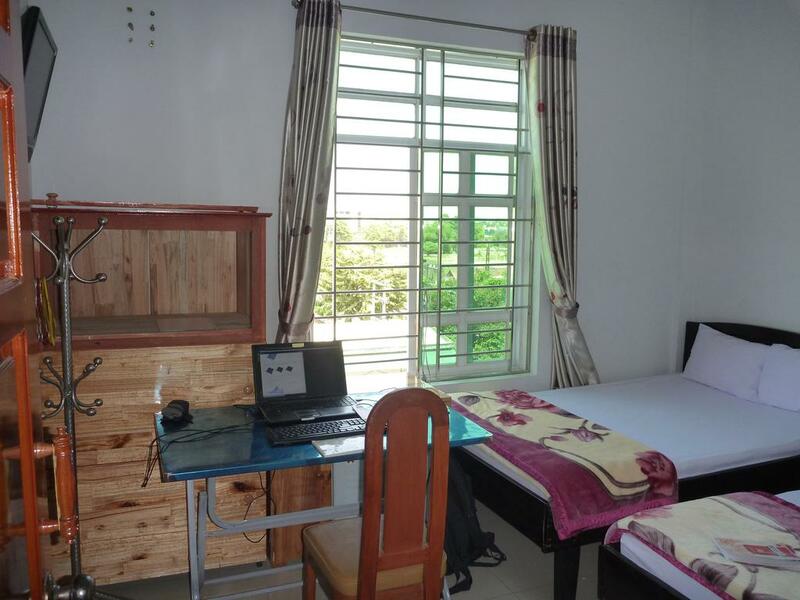 While I was looking for a room to stay in Ky Anh, (or was it Ha Tinh? ), my motorcycle woudn't start. I pushed it 400 meter to the next repair shop. Turned out the generator coils were wrecked from a loosened screw on a rotating disk with magnets inside the compartment. The cost for the parts and repair totalled 200k vnd. Since the same problem happened a few days later, I learned a lesson: if a screw turns loose, better replace the screw, since the winding was worn out. In the city I discovered the dish mi xao: fried noodles, meat, and vegetables. On later occasions, I never came across the same dish as good as served here. My room in the city was really spacious for 260k vnd. Retrospectively, I should have stayed longer to enjoy. 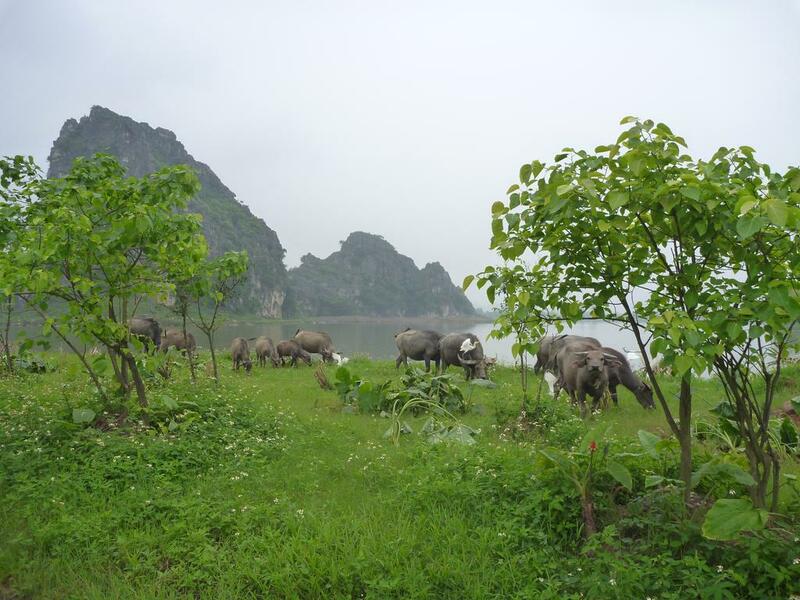 The stops from here all the way to Ninh Binh which is 100 km from Hanoi, unfortunately I cannot reconstruct anymore. Because of the incident with the damaged generator, I must have been in a hurry to get closer to Hanoi. I remember that large parts of the highway were under construction, and driving was unpleasant. Here is one detail that stuct my mind: on a road that connects the highway (probably from Vinh) to a beach I stopped at a seemingly abandoned hotel. The owner was very nice, and I stayed one night for 200k vnd. She did not even ask for my passport. The door to my room could not be locked, but somehow it felt safe to go out anyways. Later at night, it was very quiet until 4 am, when suddenly all the animals started their morning battle cries: chicken, and dogs etc. all went nuts. Towards 6 am they went mute, and I could fall asleep again. Also, on my way out, I had to stop at a mechanic to tighten the gear lever. I offered him 20k vnd, but the mechanic insisted on taking only 10k vnd. The gear lever turned loose again but only much later. Problems tend to reoccur. Ninh Binh was easy to navigate. After trying several hotels, I checked in a hotel near the train station. I had a friendly host, who helped me move a desk into my room. I stayed 3 nights for 200k each. 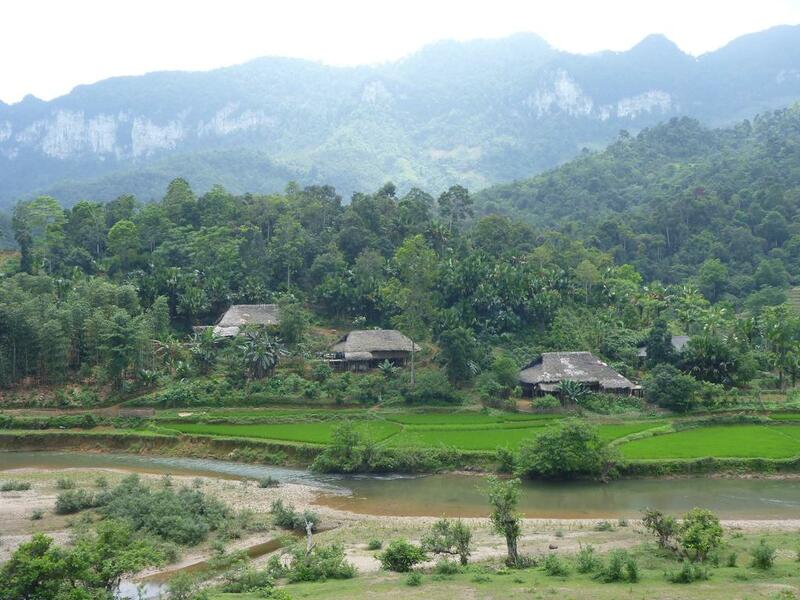 On the way out of the city, I drove past the impressive mountains on the Trang An road. Unfortunately, the motorcycle had the same issue. The generator was wrecked again because of the loose screw. The bill totalled 300k vnd, I guess because the repair shop was in the middle of nowhere, and this time the screw were replaced by new ones. From then on, I stopped at a mechanic every 200 km to open up the generator box and check if the screws were still in place. In Phu Ly I just returned to the hotel from dinner and coffee, when a vicious thunderstorm broke loose and caused a power outage that lasted several hours. The host brought a candle into the room. Since it was only 8 pm somehow the entire ambience made a good opportunity for meditation and reflection on life. The hotel room was 220k vnd. The next day, I drove to Hanoi. In the old-quarter, prices are more expensive. I payed 400k vnd for a room that admittedly was quite luxurious. For dinner and breakfast I was lucky to find local restaurants. In the evening, too many beer stalls align along the pavement. A minor scam took place, but ultimately not even to my disadvantage: Overnight, I had to bring the motorcycle to a parking lot, because the hotel had nowhere to put it. The guy who wrote the ticket faked the date, in order to pretend that I arrived one night earlier. He then charged me the price for one night. In the next morning the new warden attempted to get more money from me, but I refused and he let me go. 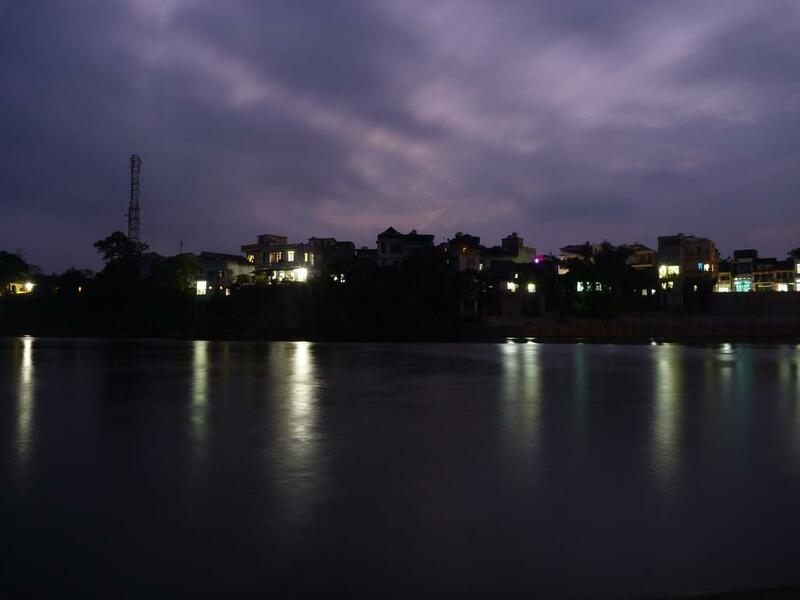 My next destination was Yen Bai, but I somehow confused the distances, intersection and bridges, and thought that I had already passed the city. Just before sundown, I stopped at a Nha Nghi for 160k vnd. The location was quiet and special: the forest and wild-life was right in front of the doorstep. In the evening, I had a very pleasant dinner experience: Stopping at an empty restaurant and in the absence of a menu, I simply listed some ingredients that I knew in Vietnamese to the cooks: rice, vegetables, fish. Then, we fixed the price to 40k vnd. And the owners gave me a great meal. Afterwards, they rejected my tip. On the next morning, I passed through the city center of Yen Bai. 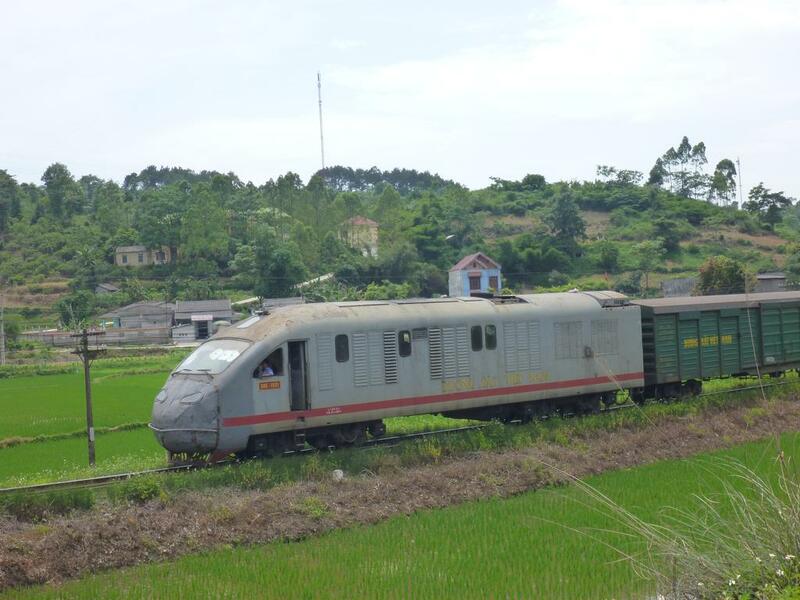 But it was too early and close by to stop again, as I attempted to reach Lao Cai. That day was the most challenging and adventurous from the driving point of view. As usual, I was looking out for familiar town names on road signs, and counting briges. First of all, the road conditions varied a lot. And then, a road that was indicated as major in Google maps, had only been completed partially. Luckily, I had started early that day. The tank was full, and I found myself in a group of Vietnamese on two motorcycles who were headed in the same direction. They would ask the locals and construction site workers for the way and alternate routes. We passed by trucks and cars that were stalled because of the unpredictable road conditions. Retrospectively, for a person on a motorcycle the episode was the most fun of all, because of the dirt-road feeling and excitement. When it became clear that Lao Cai was in reach, I stopped exhausted at a booth for refreshment, and had two cans of red bull with ice. Still on the same day, I drove up to Sapa, only to find that all the hotels and guesthouses were booked out. The annual culture festival was taking place and the town was crowded with tourists. Offers started from 500k vnd, and that was just for a bed in a hallway. I drove back downhill 38 km to Lao Cai. Exhausted, I checked in a hotel still outside town for only 150k vnd. The next day, I continued to the city and tried a different hotel for 300k vnd alongside the river that marks the border to China. The people of Lao Cai made me feel welcome and I stayed 5 days total, but moved to another hotel for just 200k vnd. 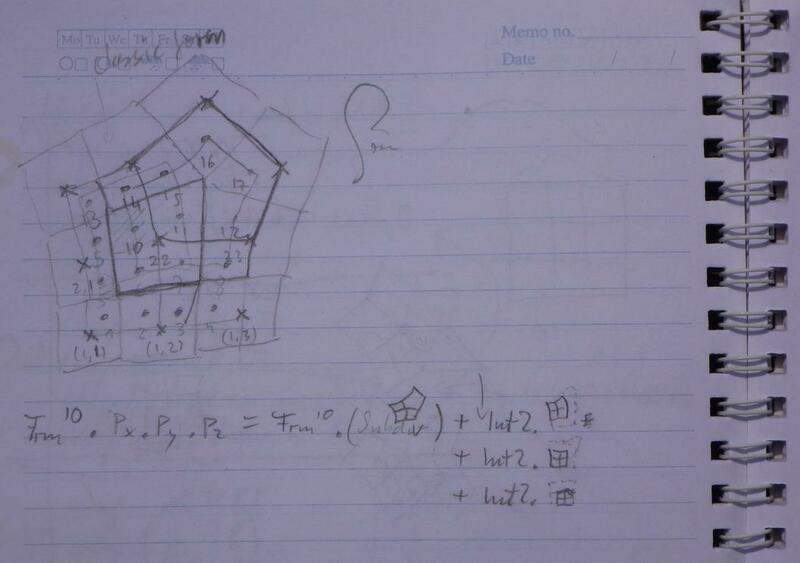 I finally finished the math project and posted the results online including a demo video. Towards the end of the video one can hear a truck driving past the hotel. Until now, the selection of the route had been straight forward. Leaving Lao Cai, for the first time I had a choice which path to take. I set my next goal to be Ha Giang. 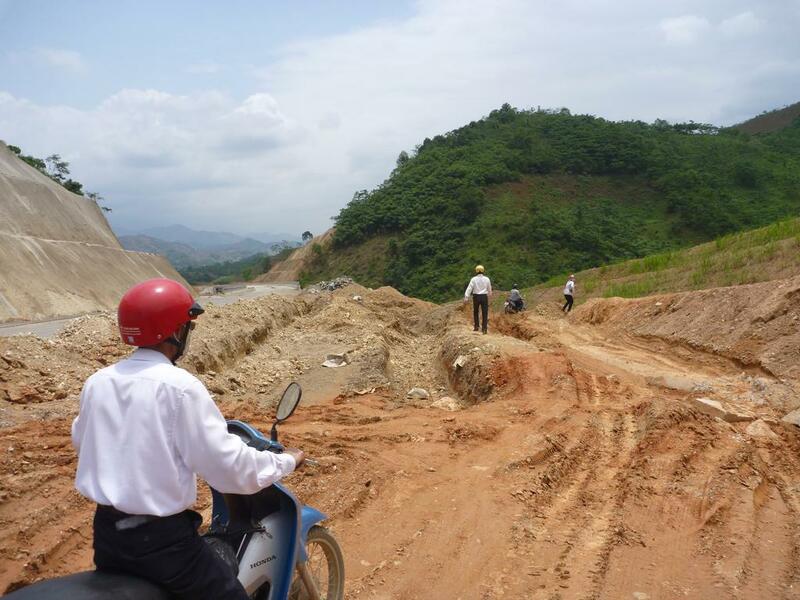 As soon as I crossed the border to the Quang Binh district the road conditions changed drastically to the worse. The motorcycle was built for this and ultimately driving on the mud path was fun. A bit exhausted I stopped at Yen Binh for the day. The price for the room was 180k vnd. Later, I walked up and down the main road in search for a restaurant. Ultimately, I resorted to my backup food plan: cookies with chocolate, and lots of water. 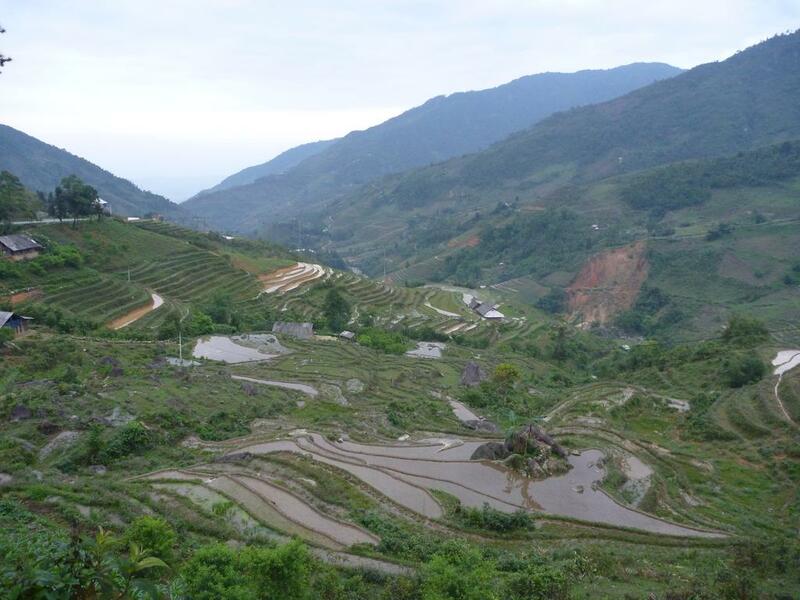 On the next day, I arrived in Ha Giang. I stayed one night for 200k vnd, but should have picked the quieter room without windows. My health started to deteriorate, and I got a cold. I attribute that to the cold and rainy weather on the previous days, and my inappropriate clothing while on the road. I continued on the QL 34. The scenery along that road is very beautiful. I stopped at the first hotel in Bao Lac. They offered me a cosy room for 160k vnd. Unfortunately, I forgot to ask for my passport back on the next morning. And only noticed that the document was still at the hotel reception when I was already 30 km away from town. At least this type of blunder happened only once. 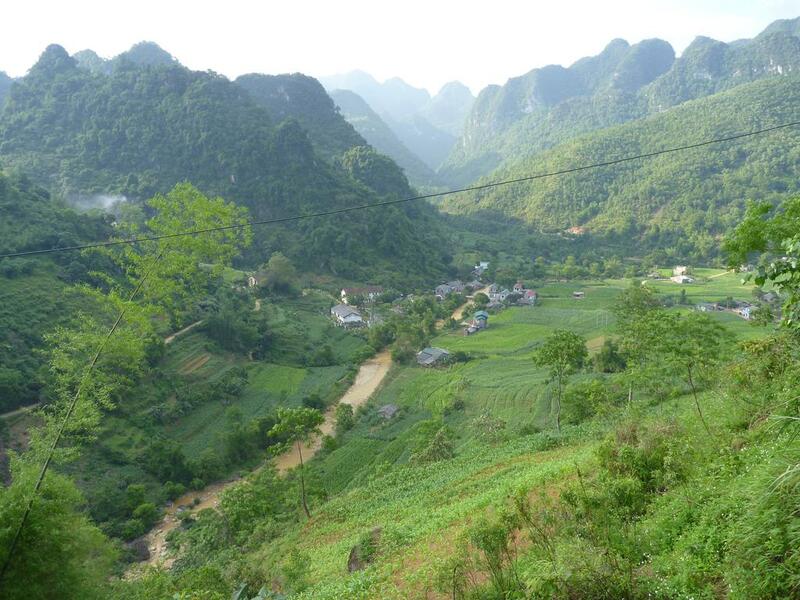 So now, I was headed for Cao Bang and enjoyed the beautiful scenery along the way. And I came very close until - on the way downhill - my chain twisted irreversibly. I stopped the motorcycle immediately which prevented more severe damage. It's my mistake not keeping the chain under tension. The chain had rattled audibly for at least 100 km. Luckily, I could simply roll downhill for another 2 km and stop at the next mechanic. He replaced the chain and inserted a few knots to make it fit. Total repair cost 100k vnd. Possibly because of the excitement, I have no recollection of the hotel I stayed in. In Lang Son I stayed one night. The hotel room was very quiet and cost 250k vnd. Again, we moved a table into the room. For dinner, I just went to the restaurant next door which served noodle soup. Another dish that enjoyed in Lang Son on both days was a sandwich with barbecue meat and vegetables. A look at the map suggested to make a detour to Tien Yen. This turned out to be an excellent decision. The people in town are really friendly, and the price for the room was 170k vnd. At first, I stayed 3 nights, and on my way back from Mong Cai, I stayed 2 more nights. Mong Cai was a bit different. Half of the numerous hotels that I tried pretended to have no room available and sent me away. Anyways, I continued to the island Trang Vi. The gear lever had freed itself from the suspension and shifting was unreliable. I stopped at a warehouse where the owners lend me their tools so that I could tighten the lever myself. There is one impressive church in the middle of town. At the tip of the island, there is a monument, and opposite there is a small military post. Soldiers were jogging and one of them saluted when he saw me driving past. Finally it was time to agree on a hotel, and I found a room for 250k vnd. My host did not ask for my passport. For dinner I went to a restaurant. Normally, guests dine in large groups, but I was not hungry for an entire fish. The owner helped me to decide on a delicious seafood platter. There is industry and mining around the city of Cam Pha, which caused air pollution. Anyways, I had a quiet night in a hotel in a side street for 150k vnd. In Cam Pha, they served the 2nd best mi xao. 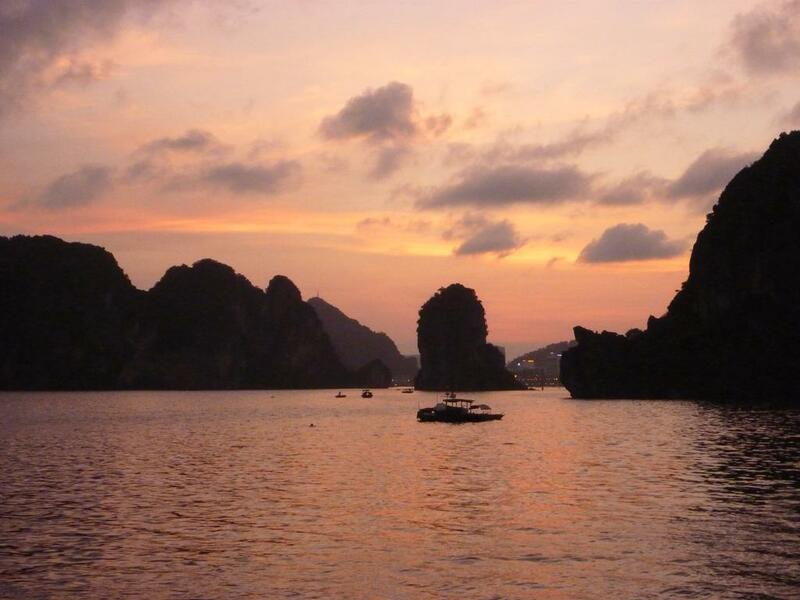 Ha Long is a famous tourist destination. 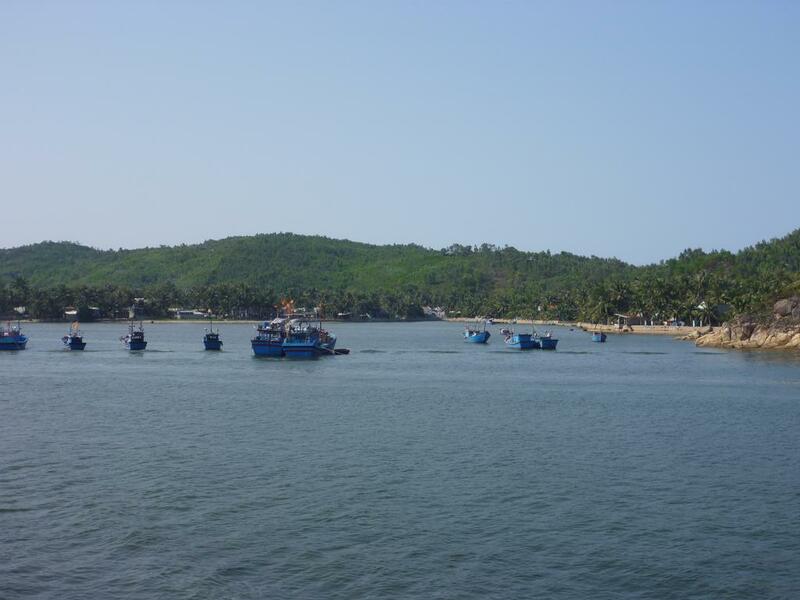 Impressive islands can be viewed from the coast and are accessible by boat. I arrived early and enjoyed breakfast and coffee at the Laptop cafe. The waitress even spoke a little German. My hotel was located in the Hong Hai district, which is well separated from the major highway and quiet. The room was 250k vnd. For dinner I picked a seafood restaurant with the name Laptop 2. Overall, I only saw 2 other foreigners in the city. 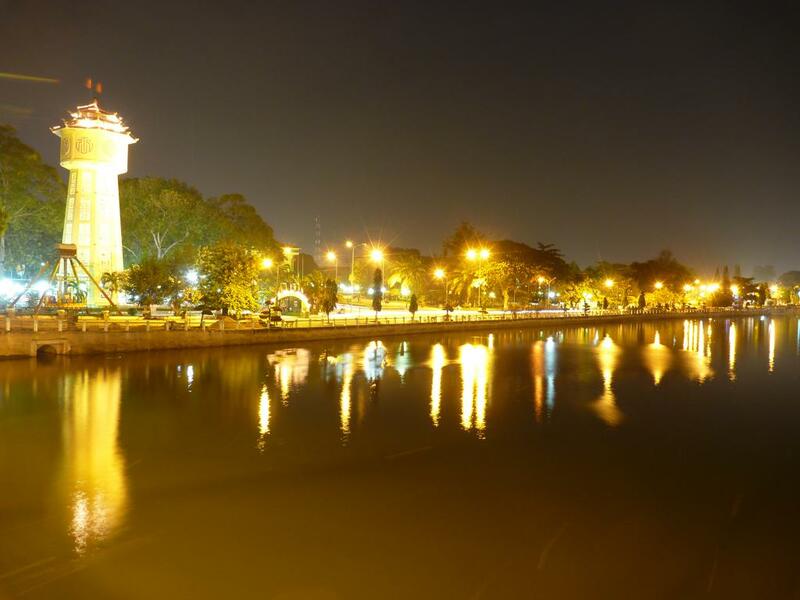 Hai Phong is just 100 km from Hanoi. On wikitravel I read that the city has a brewery. Turns out they give away pints of fresh beer for only 10k vnd. On the second day, my motorcycle broke down again and wouldn't start. Initially, I attempted to get it fixed but then concluded it's better to avoid more costs, give the motorcycle to the mechanic, and later travel to Hanoi by bus. With more maintenance, time and the right tools, the motorcycle is perfectly suitable for many more journeys in the future. I hope they continue to make use of it. In Hai Phong, I stayed for 8 nights and was a daily customer at the brewery outlet. On the last day, I took a bus to Hanoi. Then changed to local bus 55 to get to Long Bien. I had delicious soup with fried fish, and relaxed for some time in a cafe before taking bus 17 to the airport. We respond to feelings of security rather than the reality of security. We relate to story not to data. If you know stuff you are more likely to notice reality. We ignore evidence against our model (of reality). Information is our best hope. The vast majority of people are welcoming, friendly, and curious. 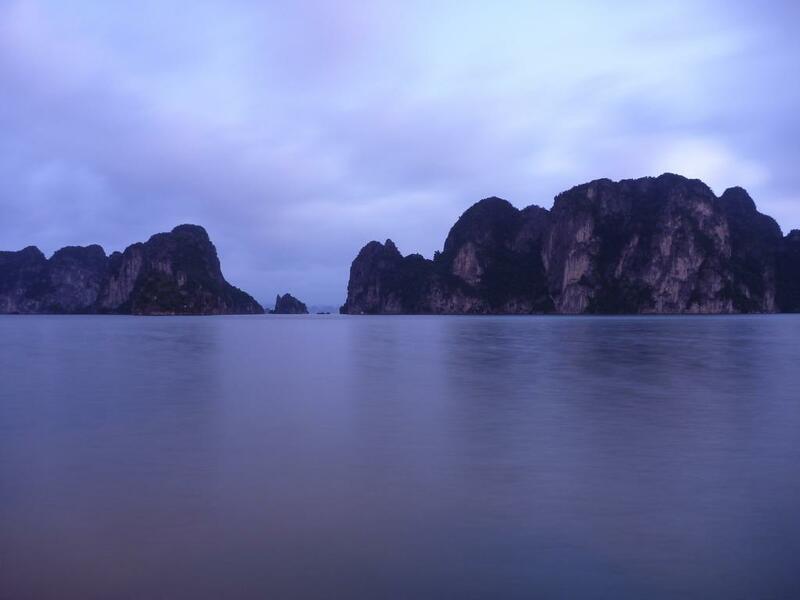 And this is really encouraging to explore the different regions of Vietnam. My impression is that most of the vendors ask for the regular price for food and drinks. Accommodation requires some bargaining however. Children frequently smiled and waved at me. Lottery tickets are sold more pervasively in the South. In the North the sale is restricted to ticket booths. Other than that, I cannot make out differences between the South and the North. The average Internet download rate is about 500 kB/s. The peak was 2.2 MB/s in Hai Phong. Google maps consistently displays only a fraction of the existing infrastructure, and architecture. For instance, my estimate is that 90% of the highway AH1 / QL1A that connects Saigon and Hanoi is lined with houses and businesses. As a rule of thumb: a town or city is at least 3 times larger in real-life. My tour started begin of April in the South and finished end of May in the North. Typical driving hours were 11 am to 3 pm. I only got into rain on 3 occasions while on the road. The driving patterns in Vietnam are optimized to maximize the flow. This is the only way to get anywhere. European standards would simply not work in Saigon or Hanoi. children use the highway on bicycles to get home from school. having hearts that are never moved and therefore never set on fire. These are the things to fear, said the headmaster.